A writer never knows when inspiration is going to hit. Sometimes you get it from reading something in a newspaper (yes, I STILL read (and highly enjoy) newspapers, both the local rag and USA Today), or hearing something on the radio, or reading a book. What? Isn't that plagiarism? No, not when it's just a sentence. And that sentence was written by one of my favorite authors, Barbara Michaels. In fact, it was her romantic suspense novels (with a paranormal thread) that inspired me to write my Jeff Resnick Mysteries. I've been wrestling with how to continue Jeff's story arc after the devastating events in the most recent novel, Shattered Spirits. 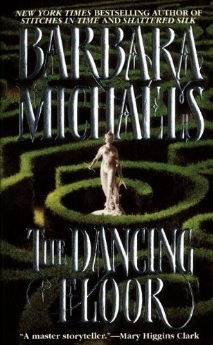 I often reread my favorite books and about three weeks ago I reread Ms. Michaels' book The Dancing Floor. In it, one of the characters tells another: "You're a part of the pattern." I got stuck on that one paragraph and that sentence, and reread it several times. I kept thinking about it over and over again and that got me inspired to tell Jeff's story--how he became a part of the pattern. And, truthfully, until I started writing the story, I had no clue there actually was a pattern. 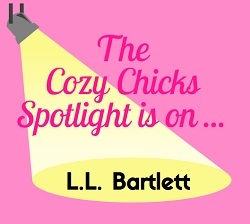 .Jeff Resnick finds himself drawn to solving crimes. His brother, Richard, thinks that could be the basis of a paying business. 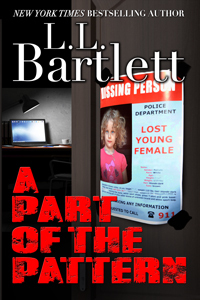 Reluctantly, Jeff agrees, and their first case is about a a child who vanished more than two decades before. Meanwhile, Jeff bumps into an acquaintance whose history is very similar to that of the missing girl. Is it coincidence or is there a pattern that links him to her and his future? If you've been missing Jeff, get ready for your next fix!